*HOT PRICE! * Amazon – Hurley Juniors Book Tote (Black) only $12.92 (After Code)! Super deal! 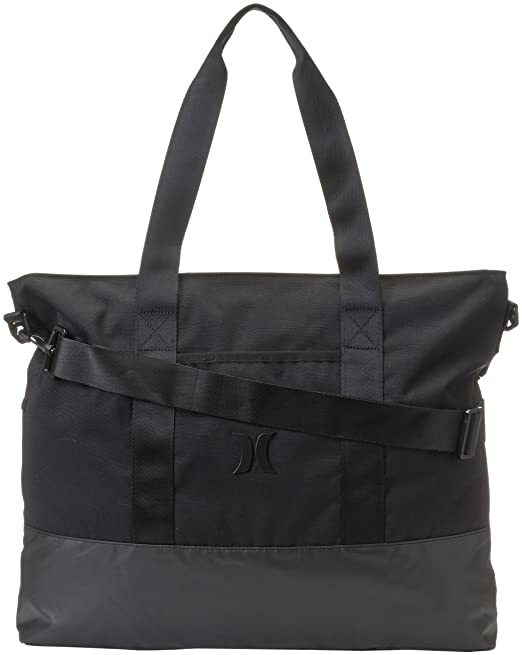 Amazon has the Hurley Juniors Book Tote, Black, One Size on sale for $16.15 (reg $45) with FREE Prime shipping or free shipping with $35 purchase! Use code 20OFFVET at checkout to take an additional 20% off = only $12.92!! This is good for the black color only. Ace Hardware – Keter Multi-Colored Kids Creative Table and Stools only $19.99! If you have little ones who love arts and crafts, then check out this Keter Multi-Colored Kids Creative Table and Stool Set on clearance at Ace for only $19.99! FREE in-store pickup! 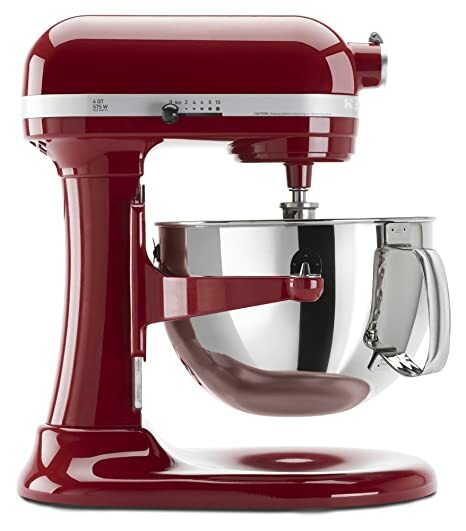 *HOT PRICE* Amazon – KitchenAid KP26M1XER 6 Qt. Professional 600 Series – Empire Red only $289! If you’re in the market for a KitchenAid, then check out this large capacity KitchenAid KP26M1XER 6 Qt. Professional 600 Series – Empire Red on Amazon for $289.00 (reg $449) with FREE shipping! This is the lowest price this has been in OVER 3 YEARS, and without any hassles of rebates, store credits/money with larger initial out-of-pocket purchase, etc! Zulily – Huge Shoe Sale! Zulily is running a HUGE shoe sale today with prices up to 80% Off! Grab some awesome bargains on fantastic brands and styles! Shipping starts at $4.95 and after your first order, you can order as many items as you want throughout the day with FREE shipping! Awesome! New to Zulily? Click Here to Sign Up! 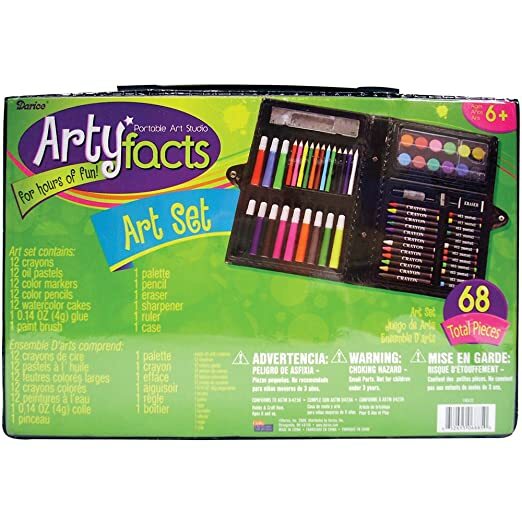 Amazon – Darice 68-Piece Art Set only $4.99 (Add-on Item)! Great for the gift closet for birthday parties! Amazon has the Darice 68-Piece Art Set for $4.99! This is an Add-on item, which means it will ship free with your $25 purchase & Prime account, or free with $35 purchase if you don’t have Prime. 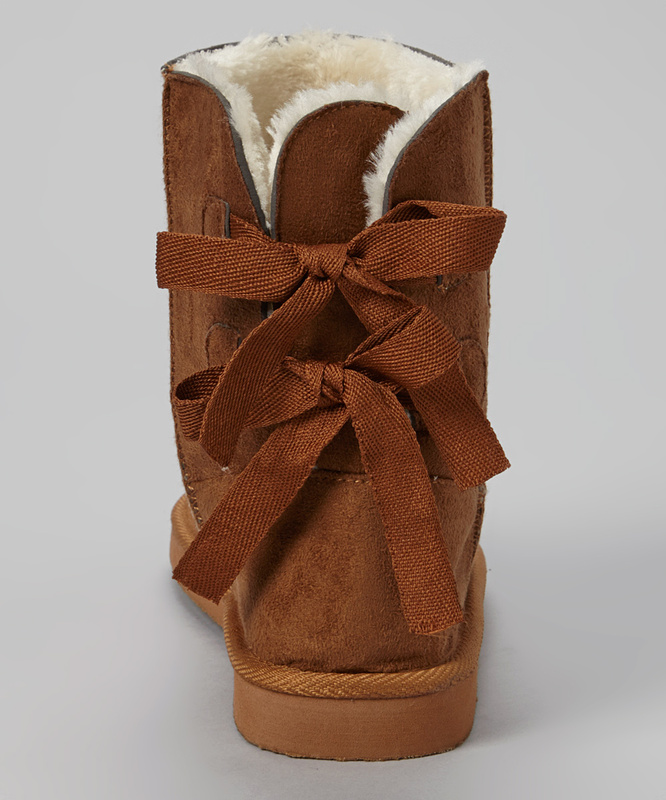 This item also counts toward that $25 or $35 total! *HOT! * Amazon – Set of 2 Silicone Baking Mats only $2 (after code)!! WOW! Hurry on over to Amazon where you can get the Baking Mat – Better Than Silpat Baking Mat, Silicone Baking Mat – Set of 2 – PTFE – 16×13 on sale for $12.99 – $10.99 with code BAKING22 = $2 with FREE Prime shipping or free shipping with $35 purchase! This will not last long!! *HOT PRICE! 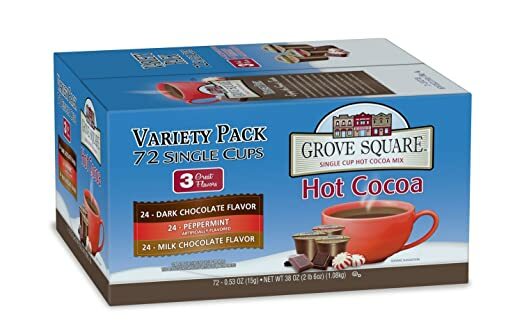 * Amazon – Grove Square Hot Cocoa Variety Pack, 72-Count Single Serve Cup for Keurig K-Cup Brewers as low as $18.37, Shipped! Just $.26 per k-cup! 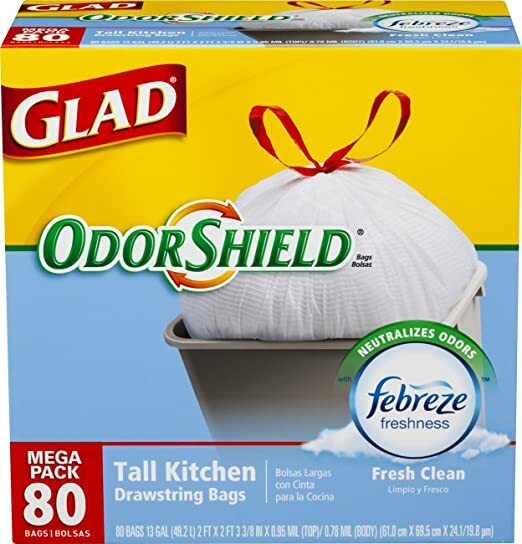 Amazon – Glad OdorShield Tall Kitchen Drawstring Trash Bags, Fresh Clean, 13 Gallon, 80 Count, as low as $9.49, Shipped! Amazon has Glad OdorShield Tall Kitchen Drawstring Trash Bags, Fresh Clean, 13 Gallon, 80 Count for as low as $9.49 with FREE shipping when you clip the 10% coupon on the product page, use Subscribe & Save, and have 5 active Amazon Mom Prime subscriptions! *BEST PRICE! 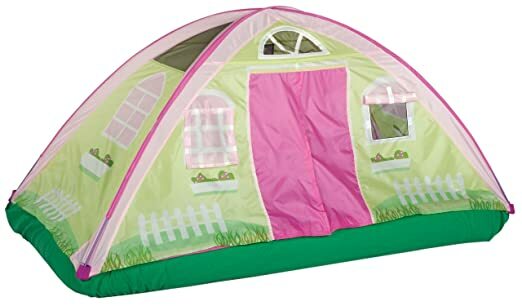 * Amazon – Pacific Play Tents Cottage Bed Tent – Twin only $29.99! This looks like so much fun that I want one to sleep in one!! 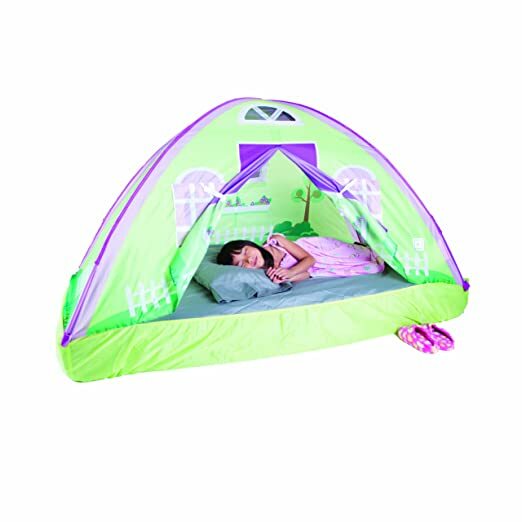 Amazon has the Pacific Play Tents Cottage Bed Tent – Twin, #19600 on sale for $29.99 (Reg $65.50) with FREE Prime shipping or free shipping with $35 purchase. I love this!! And this is the lowest-ever Amazon price! 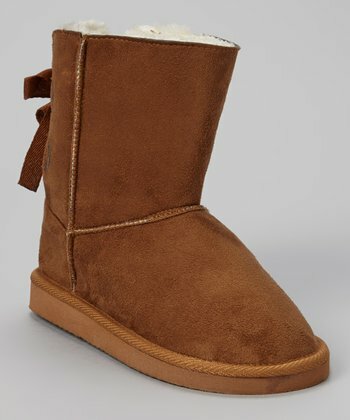 Payless – Save up to 30% Off + Additional 31% Off Your Purchase TODAY ONLY! If you need new shoes or boots, head on over to Payless where they are having their semi-annual sale with prices up to 30% Off! Plus, today only, save an additional 31% off your order with code 31BOO at checkout! Shipping is FREE with your $35 purchase, or choose in-store pickup to avoid shipping costs! Airwalk Women’s Myra Short Boot on sale for $36.99 (reg $49.99) – 31% = only $25.52! Lots of colors available! 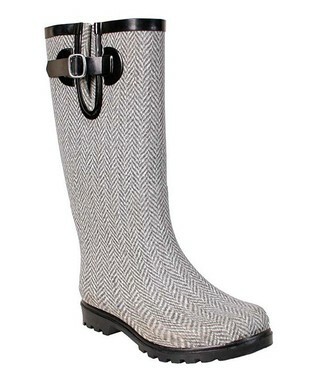 Or get the Airwalk Women’s Myra Tall Boot in black on sale for $44.99 (Reg $54.99) – 31% = only $31.04! Kids’ (6 pk) Crew Socks – Sizes 3 – 6 (Large) on sale for $4 (reg $6.99) – 31% = only $2.76! Girls’ Mary Jane Shoe on sale for $14.99 – 31% = only $10.34! Lots of sizes available! Plus lots more! Check it out! *LOWEST PRICE! 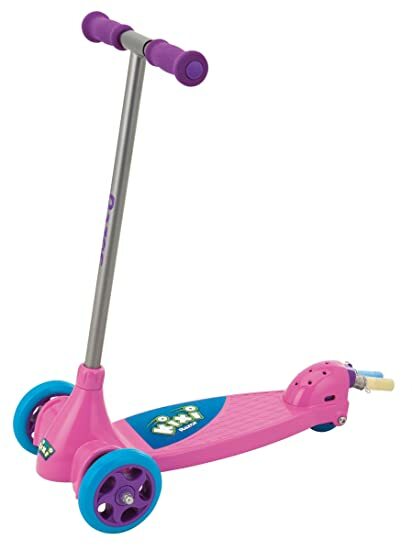 * Amazon/Walmart – Razor Jr. Kixi Scribble Scooter only $20/$20.49! Amazon has the Razor Jr. Kixi Scribble Scooter for $20.49 (reg $39.99) with FREE Prime shipping or free shipping with $35 purchase. This is the lowest-ever Amazon price! Available in the PINK/PURPLE color only at this low price! This is great for the toddler/pre-school age. Don’t have Prime? You can pick this up at Walmart as well on Roll-Back for $20 with FREE in-store pickup! It’s available in both the BLUE/GREEN and PINK/PURPLE colors there! Click Here to get this deal on Amazon or Click Here for Walmart! 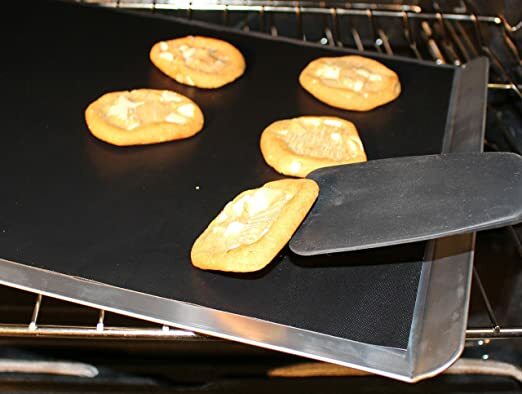 Amazon – OvenStuff Non-Stick Personal Size Cookie Pan only $2.99! If you’re looking for a smaller pan (or replacement) for your toaster oven or convection oven, or to use in a regular oven when just cooking for 1 or 2 people, then check out the OvenStuff Non-Stick Personal Size Cookie Pan on Amazon for $2.99 (reg $6.99) with FREE Prime shipping or free shipping with $35 purchase! Please note this item will ship in 3-5 weeks. Amazon – DVDs on Sale! Amazon has dropped the price on loads of DVDs, including lots of kid-friendly selections! FREE Shipping with your Prime account or with $35 purchase! Willy Wonka & the Chocolate Factory only $3.99! Honey, I Shrunk the Kids only $4.99! E.T. The Extra-Terrestrial Anniversary Edition only $7.99 (reg $14.98)! Chitty Chitty Bang Bang (Full Screen Edition) only $5 (reg $9.98)! Singin’ in the Rain: 60th Anniversary: Special Edition (DVD) only $4.88 (reg $14.96)! Fiddler on the Roof only $6.52 (reg $14.98)! The Little Rascals only $5 (reg $9.99)! *HOT PRICE! 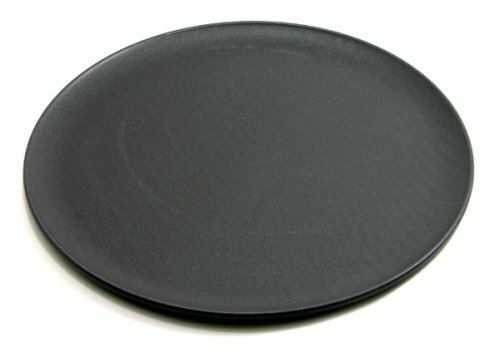 * ProBake Teflon Platinum Nonstick 16″ Pizza Pan only $4.97!! This *HOT* deal is available again! For all your homemade pizzas!! Amazon has the ProBake Teflon Platinum Nonstick 16-Inch Pizza Pan on sale for only $4.97 (reg $17.99) with FREE Prime shipping or free shipping with $35 purchase! 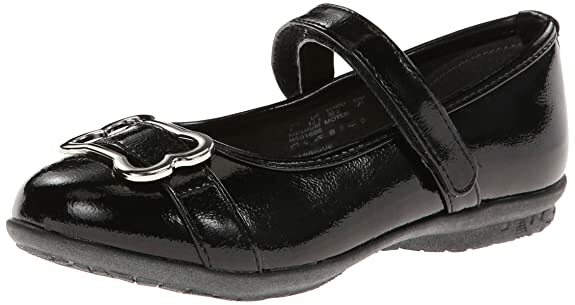 Amazon – Hush Puppies Bonita Mary Jane Girls Shoe (Toddler 8.5 – Big Kid 5) only $13.86 (reg $49)! Plus More! 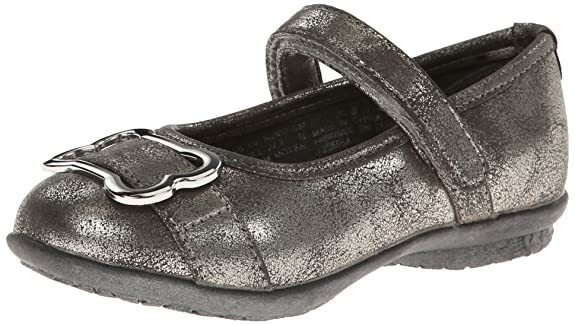 Amazon has Hush Puppies Bonita Mary Jane (Toddler/Little Kid/Big Kid) for $13.86 (reg $49)! Available in black or silver in sizes 8.5 toddler – 5 Youth/Big Kid. FREE Prime shipping, or free shipping with $35 purchase, plus FREE returns! Some other shoes to check out! OshKosh B’Gosh Meteor2 Fashion Sneaker (Toddler/Little Kid) for $14.54 (reg $34.99)! Available in toddler sizes 5-10 in the BLACK/BLUE color! 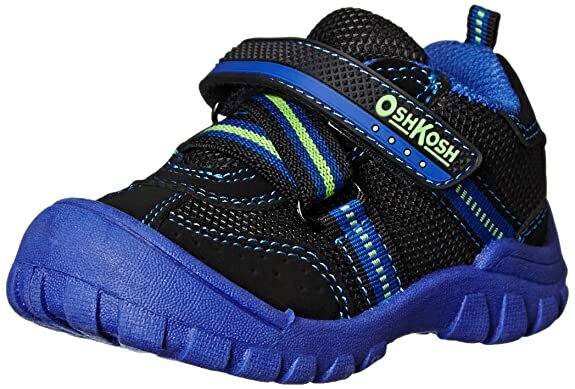 OshKosh B’Gosh Wade Sneaker (Toddler/Little Kid) for $12.44 (reg $34.99)! Available in toddler sizes 9 & 10! Carter’s Dashing Casual (Toddler/Little Kid),Navy/Sanguine,8 M US Toddler for $14.44 (reg $34)! Toddler sizes 7 – 10! 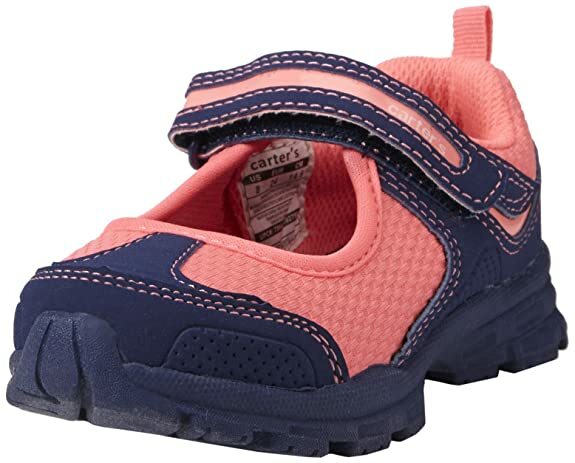 Carters Girl’s Alexis (Toddler/Little Kid) for $14.99 (reg $24.99)! Available in toddler sizes 5 – 12! *HOT! * Amazon – NEW Baby Gear Coupons!! 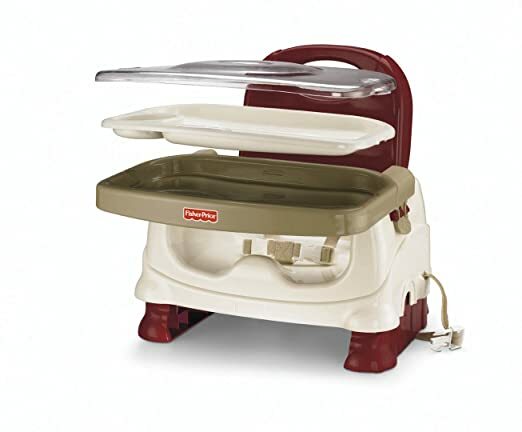 Booster Seats (for eating or play) at LOW Prices!! Amazon has a bunch of new Baby Gear Coupons on their site! Click Here to browse them all! Then, clip the coupons for the items you want, add to your cart, and check out! Shipping is FREE with your Prime account or with $35 purchase! Fisher-Price Healthy Care Deluxe Booster – Brown/Tan for $24.46 – $5 coupon = $19.46 Lowest-Ever Amazon price! 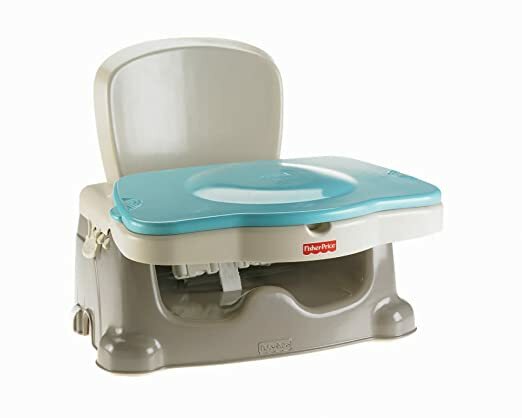 Fisher-Price Deluxe Booster Seat, Red/White for $23.99 – $5 coupon = $18.99! 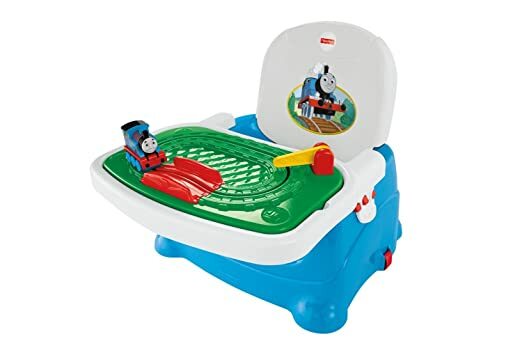 Fisher-Price Thomas and Friends Tray Play Booster Seat for $22.49 – $5 = $17.49 LOWEST-EVER AMAZON PRICE! And super adorable!! 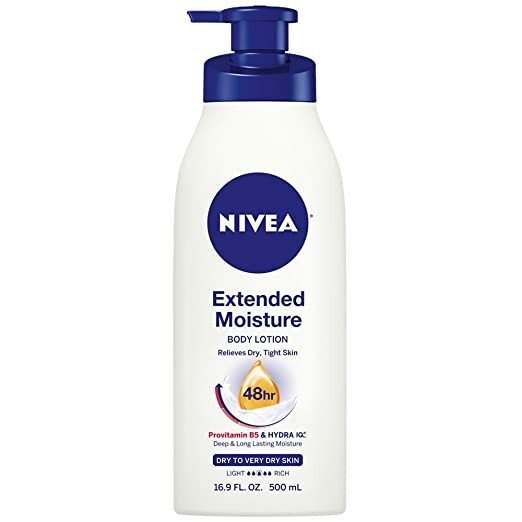 Amazon – Nivea Extended Moisture Body Lotion, 16.9 oz, as low as $2.74, Shipped! Keep your skin healthy and smooth with Nivea Extended Moisture Body Lotion, 16.9 oz for as low as $2.74 with FREE shipping when you clip the $2 coupon on the product page, use Subscribe & Save, and have 5 active Amazon Mom Prime subscriptions! 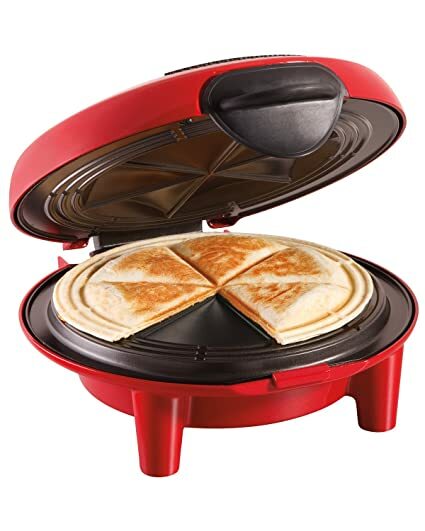 Amazon – Hamilton Beach 25409 Quesadilla Maker only $12.99! Make delicious quesadillas in the comfort of your own home with the Hamilton Beach 25409 Quesadilla Maker on sale for only $12.99 (reg $29.99) with FREE Prime shipping or free shipping with $35 purchase! 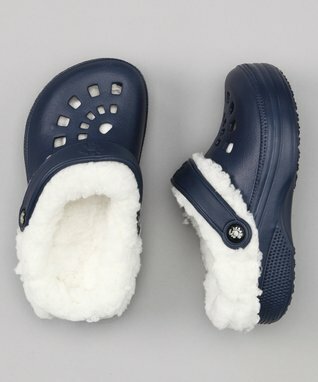 Crocs – Additional 25% Off Sale Styles! 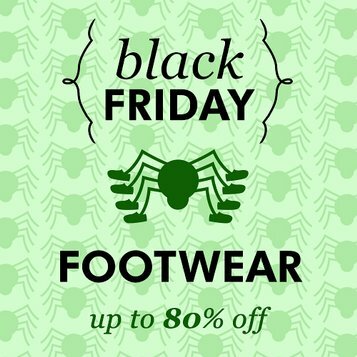 Crocs is offering an additional 25% Off Sale Styles with code OCT25 through 11/3/14! Shop NOW for the best selection! Shipping is free with your $24.99 purchase, so buy a few pairs for the whole family! 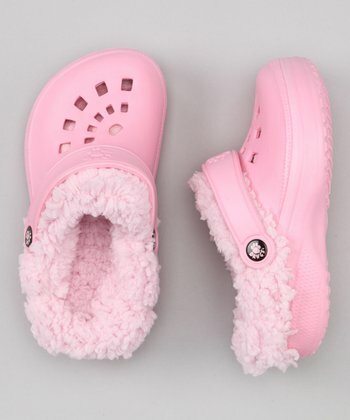 Girls Shayna Shoes for $14.99 (reg $24.99) – 25% = just $11.24! Duet Sport Clog Kids for $14.99 (reg $34.99) – 25% = just $11.24! Women’s Tully II Clog for $14.99 (Reg $34.99) – 25% = Just $11.24! *HOT! * Gymboree – 50% Off Fall Favorites! Gymboree is offering 50% off Fall Favorites today only! There are lots of really good bargains site-wide, be sure to browse. There are also 20% off coupons from mailers and magazines for even sweeter savings! Shipping is FREE with your $75 purchase or a reasonable $5 flat-rate. Girls Striped Sweater Dress (currently available in sizes 4, 5, 6 and 8) only $11.50 (reg $42.95)! Girls Houndstooth Dress (sizes 4-10) only $15 (reg $34.95)! Plus Lots More Dresses starting at only $15! Girls Sequin Bow Long Sleeve Tee (currently available in sizes 4-10) for only $8.50 (reg $22.95)! Girls Striped Bow Tee (sizes 4-10) only $6 (reg $22.95)! Boys Ribbed Waist Twill Shorts in sizes 4 & 5 for only $4.79 (Reg $26.95)! Chanukah pajamas! Lol! Sizes 6/12 months – 12 years only $11.48 (reg $22.95)! and some awesome LOW prices on costumes!! SuperHero Cape only $5.39 (reg $24.95), Viking Costume $10.79 (reg $44.95), Little Red Riding Hood only $7.19 (reg $39.95)!